Looking for great restaurant specials in the Winelands this “winter”? 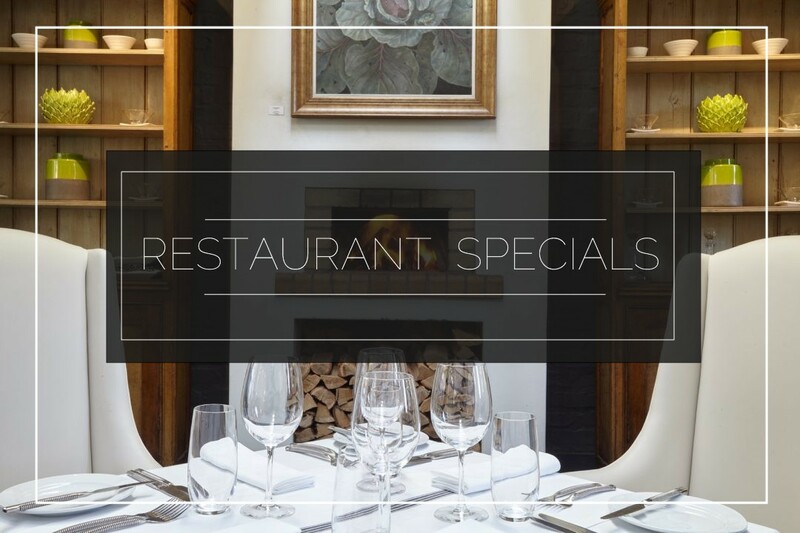 Have a look at our growing list of restaurant specials to enjoy this winter in the Winelands. Be sure to leave us a comment if you have seen any great specials and who we should add to the list. The 3-course dinner menu is available at R450 per person or 4-courses at R550. The menu offers pairing suggestions for every dish from the wide range of elegant Grande Provence wines. The winter chef’s special lunch at R200 including a glass of wine, is available during weekdays only. Tel: (021) 876 8600 or email reservations@grandeprovence.co.za. Ryan’s Kitchen, is offering pick up’s and drop off’s in conjunction with Jaci Transfers- at No Cost To Guests. Spend a relaxed hour of food and wine conversations around the generous kitchen table, with Chef Pieter de Jager preparing the food and sharing the stories and history of the dishes. A Wine Tasting Ambassador will join the meal to introduce guests to Leopard’s Leap wines and their unique South African attributes. The cost for the South African Table is R 250 per person. Reservations can be made in advance at reservations@leopardsleap.co.zaor +27 (0)21 876 8002. Choose a starter and main for R130 per person. Options include Calamari, Chicken livers or a soup for starters and A 200g Rump/Sirloin with a starch of choice. THE MARRIAGE OF FOOD AND WINE: R450 per person for food and wine. Available for 12h00 / 12h30 slots, and 18h30 / 19h00 slots Menu and pricing subject to change without notice. Limited dietary changes to this menu. Please note the whole table needs to choose this option. Enjoy their winter offer of a beef steak served with garlic and black pepper sauce and hand cut chips, including a complimentary glass of Haute Cabrière Pinot Noir Reserve, for only R185pp. Available from 23 April to 31 August 2018 on weekdays and Saturdays. Feast on Sundays: This menu designed around feasting and the breaking of bread continues throughout winter. Starters and desserts are plated, while mains are served in platters on the table. R370 pp with wine from the Haute Cabrière and Pierre Jourdan ranges included. Children 12 and under R150. Dinner: Fridays only, see website for special Friday evening events. Monday’s to Thursday’s until the end of August. What rhymes with winter? Beer. Step out of the cold and pull in for a pint with their #WinterWarmer specials! When the temperatures drop, the craving for comfort food really kicks in. Bring your friends and family, cosy up to our gas heaters and tuck in! There’s nothing that hits the spot quite like it. Valid all-day until 31 August 2018. A small portion of curry with rice & small naan bread for R95. To book contact the restaurant on 021 876 2328 or email restaurant@foliage.co.za . Buy a pizza or pasta and get a less expensive pizza or pasta free. Enjoy the huge range of pastas and pizzas, including options for vegans and vegetarians, like the Cosi Verde with its spinach base, vegan cheese, broccoli, edamame, vegan basil pesto, spring onion and black pepper. The promotion will run until 31 July 2018. Terms and conditions apply. Warm up with Faber’s winter special and indulge in a three-course set menu that makes use of fresh produce from Avondale. Experience Faber for R298 per person, or R370 with two glasses of wine. Available for lunch and dinner until 31 August 2018. Booking is essential for most of the restaurants above so be safe and secure your seat!